I just uploaded a new verison of WiFi Manager, 2.1.0, to Market. It has several new exciting changes. 1 – Per popular request, the application can now switch IP addresses for connections initiated by other programs, including the built-in Settings screen, or by Android in the background (such as when you moved from the area of one access point to another). Here is a quick demo, where I configured a fixed IP address for one of my networks, then used the built-in WiFi settings to reconnect. Once the connection got under way, WiFi Manager updated the IP address to that configured in the application. This feature is disabled by default, so if you need this, please see the application’s settings. 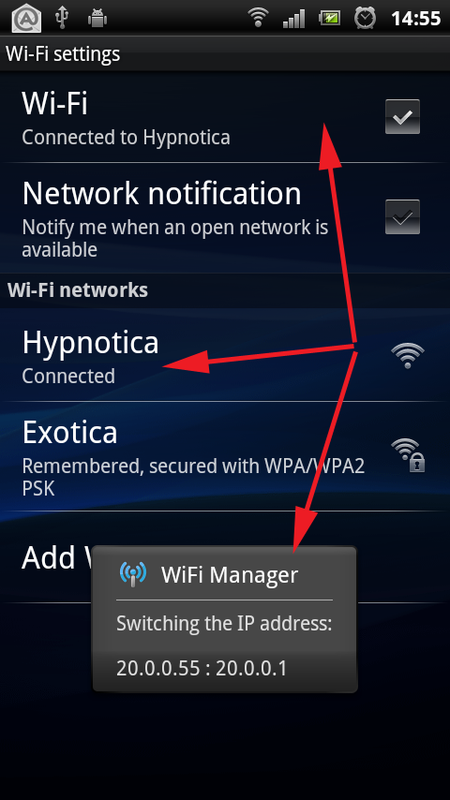 2 – Up until this version, WiFi Manager display a warning message when the user attempted to connect to an AdHoc (also known as IBSS) WiFi network. The reason is that Android doesn’t support connecting to such networks, and the message provided an explanation and a link to the Android bug tracker where this issue is described in detail. On the other hand, at this time, there are enough rooted / modified firmwares, including a recent version of CyanogenMod, that support AdHoc networks. For those users running these firmwares, WiFi Manager 2.1.0 has a checkbox to disable the message and attempt a connection to an AdHoc network. This assumes you know what you’re doing – disabling the message on stock Android doesn’t magically imbue it with new abilities, and the connection will silently fail. 3 – I reworked the way WiFi Manager reconnects from one network to another. As a result, switching networks is now much faster. 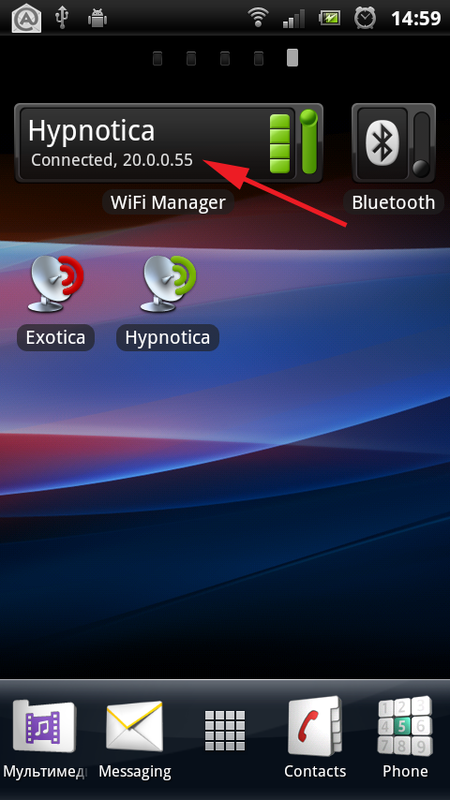 This affects both the main program and the one-tap network switch widget. Click on the old name in WiFi Manager, select “Forget”. Now click on the new name, enter the password, and “Connect”. are there any wifi sniffers that are super fast? I want to drive around and log networks without slowing down…. (thought you might know if thats possible)….